Discover St Austell is a interactive website to help St Austell Bay residents and St Austell Bay visitors a chance to explore St Austell's hidden secrets, highlight the stunning coastline, beauty spots and wildlife of St Austell Bay while at the same time teaching you all about the environment and how to protect it. From sustainable tourism to recycling to saving energy tips - the Discover St Austell Website has it all. 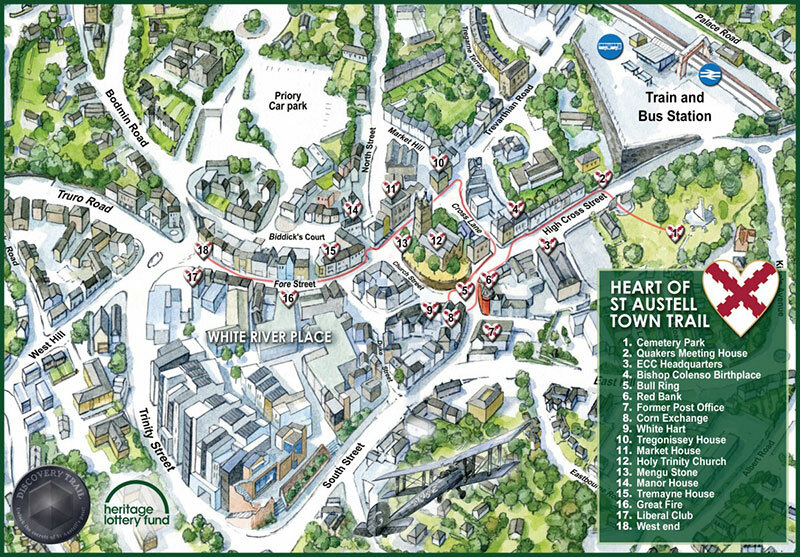 The Heart of St Austell Trail has been launched as part of Feast Week. The trail, funded by the Heritage Lottery Fund, celebrates the history of the town by allowing the public to pick up information on 18 historically significant buildings through the use of QR Codes which links walkers to a website detailing the significance of the building. The trail, which can be seen in all its glory on the Discover St Austell website is an innovative way to get the public involved in the history of St Austell. 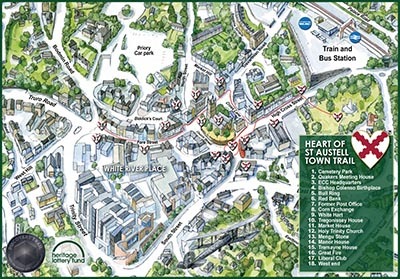 Maps are available through the link above and will in time be printed on the St Austell Discovery Map.